Zollmen Zudon White Pearl. 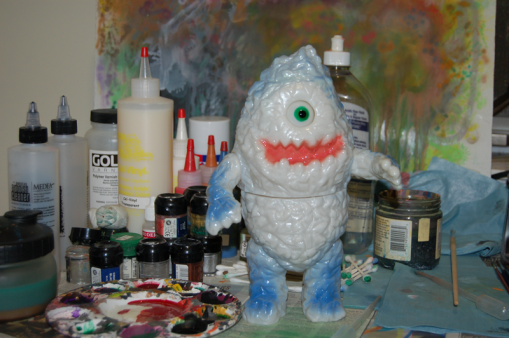 The vinyl is bright white with pearl powder in it, so I just lightly spritzed in some colors to pick up the detail. The eye is posable, and the colors are slightly translucent and nice and shiny. Stands 9″ tall.